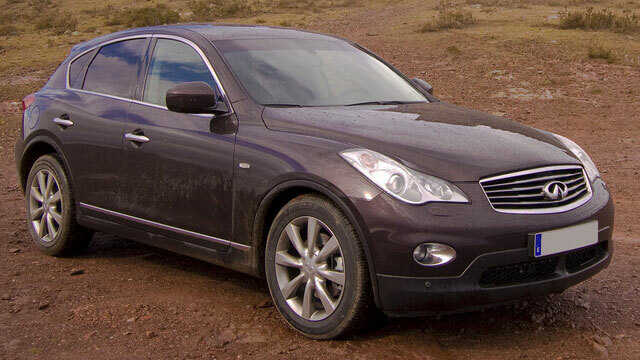 For accurate and quick Infiniti service, turn to the team of auto mechanics at John’s Automotive Care. Our auto mechanics are either ASE-Certified or Master-Certified, which means continue to undergo rigorous training. They also wield tools and equipment to match their expertise. Combine their skill with their passion, and you have a team unrivaled in the entire San Diego community. In fact, our auto repair shop has earned the award for ASE/NAPA Technician of the Year. Sometimes, it can seem as if your Infiniti is a member of your extended family. Just like how you and your family need an annual physical, your car also needs to see a doctor -- in other words, an auto mechanic at John’s Automotive Care. Our team will thoroughly examine your vehicle from head to toe, or in this case, bumper to bumper. If an issue does arise, we will identify the underlying cause and, with your permission, perform the appropriate auto repair. We will keep in contact with you at all times and all advice offered will be honest and heartfelt. “John's Auto Care stood by the 3-year warranty on recently installed parts in my vehicle by accommodating service right away and completely free of charge which amazing.” -- Elwin R.
Infiniti owners, like you, know they can rely on receive stellar auto repair and customer service at John’s Automotive Care. Our highly-qualified and trained auto mechanics are leaders in the automotive industry. Our team consistently earns fantastic reviews and testimonials from satisfied clients and takes great pride that clients choose us as their leading auto repair service center. We hope that you choose us as your premier car repair service center, too. To schedule an appointment for your Infiniti auto repair service, call us at (619) 304-0815. Visit John’s Automotive Care at 6267 Riverdale Street, San Diego, CA 92120.